Bill Browder's journey started on the Southside of Chicago and moved through Stanford Business School to the dog-eat-dog world of hedge fund investing in the 1990s. It continued in Moscow, where Browder made his fortune heading the largest investment fund in Russia after the Soviet Union's collapse. But when he exposed the corrupt oligarchs who were robbing the companies in which he was investing, Vladimir Putin turned on him and, in 2005, had him expelled from Russia. Browder glimpsed the heart of darkness, and it transformed his life: he embarked on an unrelenting quest for justice in Sergei's name, exposing the towering cover-up that leads right up to Putin. 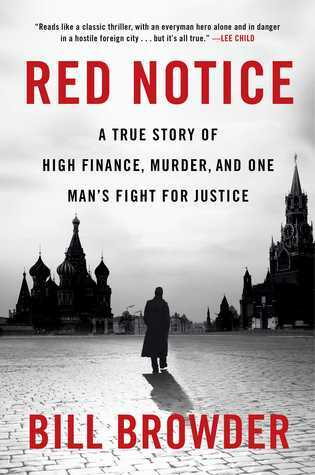 A financial caper, a crime thriller, and a political crusade,Red Notice is the story of one man taking on overpowering odds to change the world.